Zodiac Love Revealed Horoscope For Libra.  If you are interested how to tell if a certain Libra is attracted to you, get ready for some difficulty because you will have a hard time discovering it for sure. Prepare for a long observation. The problem is that Libras are always nice. Even if they don’t like some person, they will be civilized and attentive. Another difficulty with Libras is that if you are a jealous person, it will be hard for you to put up with such behavior. However, if you watch closely, you will be able to notice that no matter how nice and sweet Libras are with other people, they are even nicer with those they love. This is how you can find out the truth.